Last month I was hired by Blu Homes to photograph (for promotional materials) one of their latest construction and installation projects in St. Helena, a small town in the Napa Valley with world famous wineries. The home is located on a quaint street, and it was delightful once more to get a peek at another Blu Home. (See the Sonoma Blu Home tour here.) These are a few shots of the kitchen I photographed. 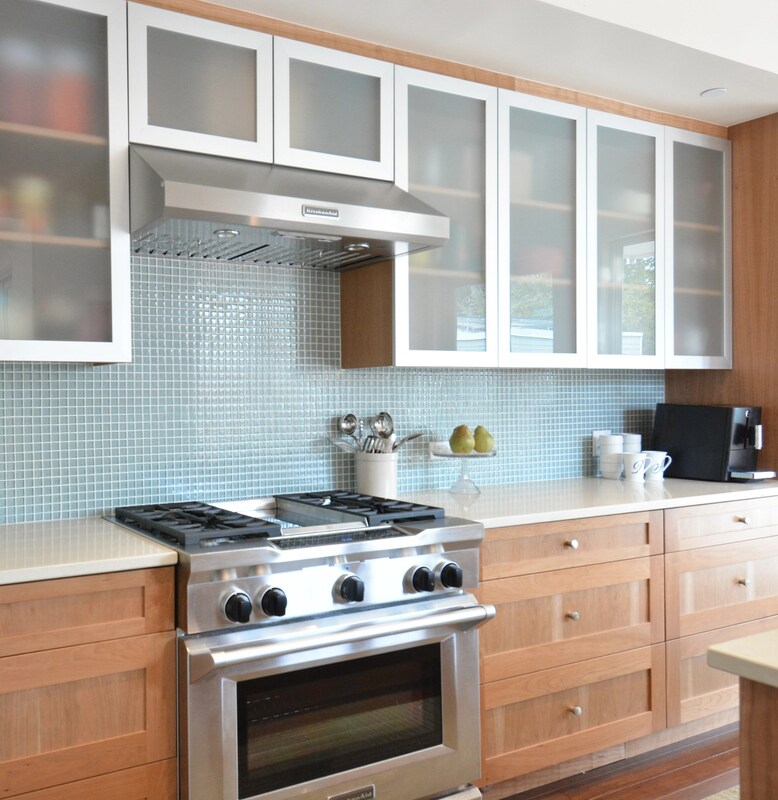 This kitchen is modern and lovely, with its shaker front cabinets and blue glass tile backsplash. 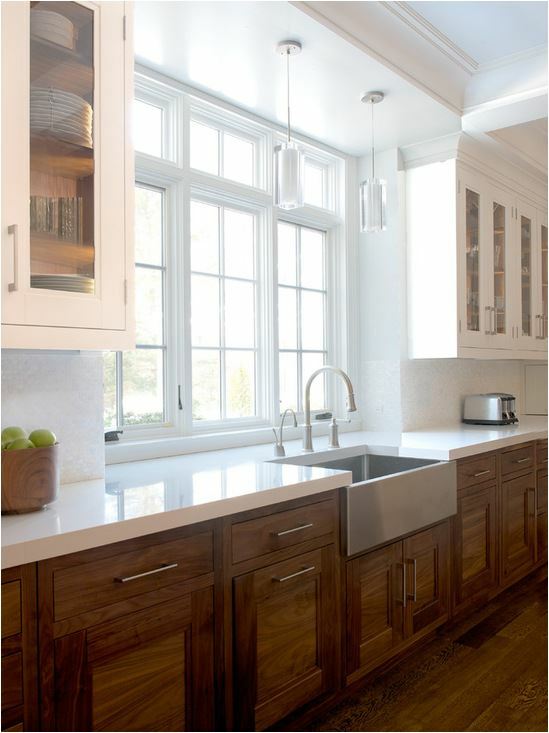 I love the upper cabinet doors with their framed brushed metal trim, the change in those glass front doors lightens the feel of the kitchen more so than using solid wood doors. 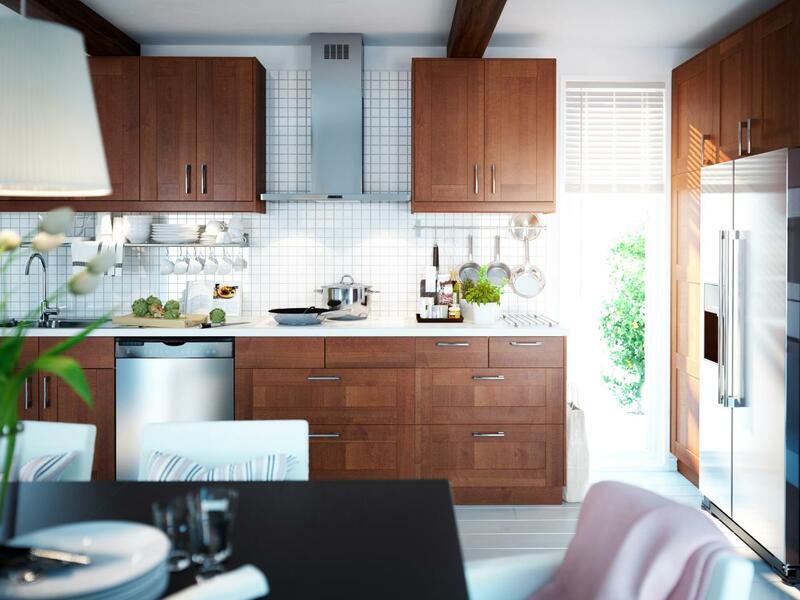 Wood kitchen cabinets were less appealing to many during the last decade for two reasons, because of the dated look of oak builder grade cabinets, and also because of the soaring popularity of white and gray painted kitchen cabinets. 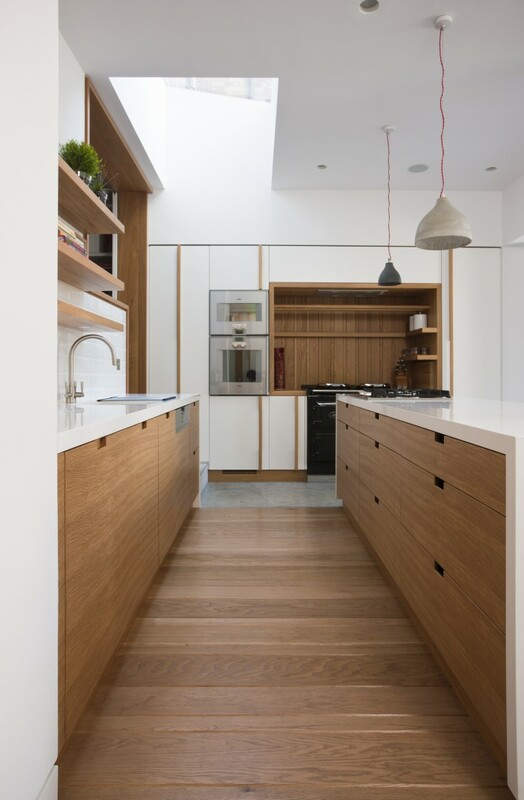 After photographing the kitchen above I was reminded just how warm and inviting wood kitchen cabinets can be. 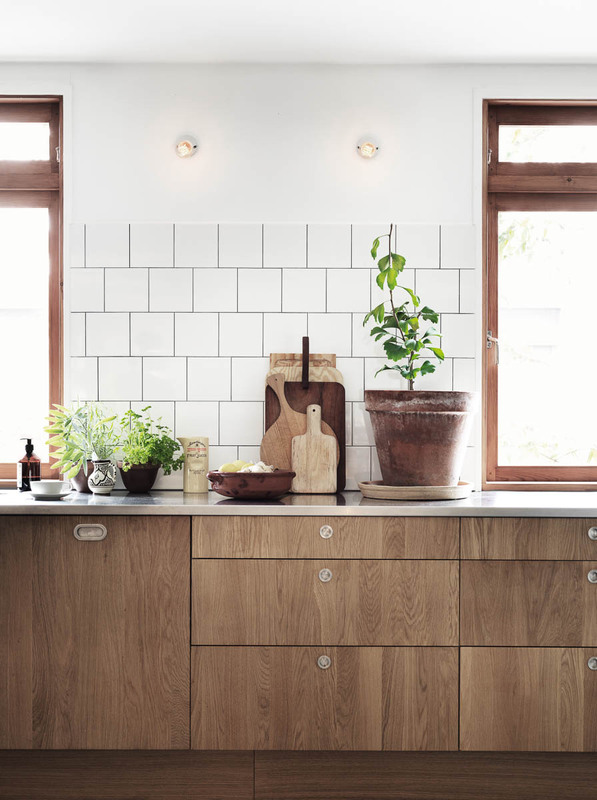 Take a look at the following kitchen wood kitchen cabinets below, I spy contemporary clean lines and Scandinavian influences but most of all simplified design. 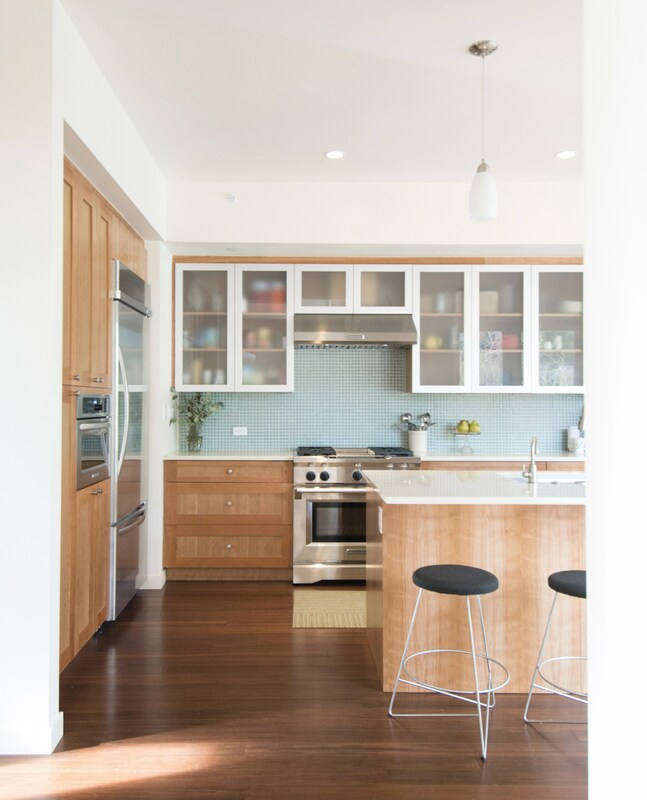 Notice the details that make these spaces with wood kitchen cabinets feel fresh: 1) shaker style or flat contemporary door fronts; 2) white surfaces for contrast (backsplashes & countertops); 3) modern hardware or cutout pulls; and 4) the use of white cabinetry mixed with wood cabinets. I believe we will continue to see more wood kitchen cabinets appearing in featured kitchen remodels in the future (hooray!) especially incorporating the elements listed above. I love that all of these kitchens are modern, yet none of them are stark. They all exude warmth and are full of texture. Beautiful finishes — I would love to see more of this in homes! Wood is back! For real. I think a huge thing we see now that didn’t exist decades ago, was light! 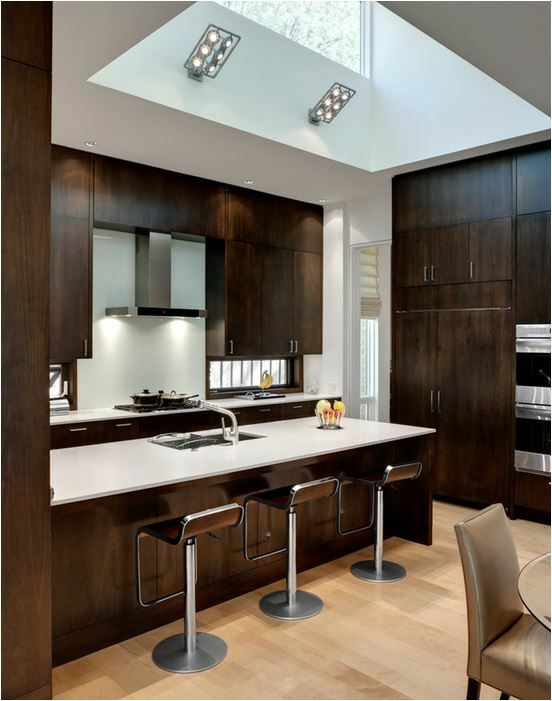 Kitchens now rarely run the risk of being a dark woody bat cave. Like you said … Hooray! I really like the frosted glass and the wooden cabinet combination. Wood really has that very interesting appeal inside homes. The windows are also stunning. My windows have blackout blinds that I got from http://centsationalgirl.com/2016/01/wood-kitchen-cabinets-revisited/ and they really look great on our window. I also like the long hallway with storage spaces on both sides. I am planning a similar one on my home. Hopefully, by this year. Yes! I am a wood lover, and am finally trading in my cheap stock white cabinets (and green laminate counters….be jealous) for beautiful wood. What I’ve picked out so far is like the cabs in picture 4 and the long pulls…so excited to see these pics! 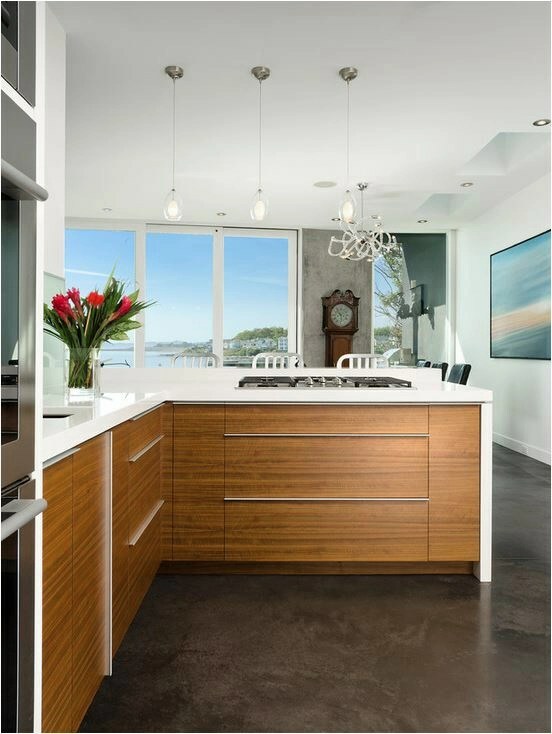 It was never a question for me to do great quality cherry cabinets with modern touches, and I’m thrilled to see some lovely pictures showing how awesome it can look. Can wait…demo day is right around the corner! Do you happen to know what material the white kitchen counter is made of? Any info., source would truly be appreciated! That first kitchen is beautiful!! Woods & whites etc really make a great impact but calm the space as well. Really like this look! Wood seems easier to take care of than painted cabinets — especially with small children in the house. I love the warmth wood provides, and the clean lines of the cabinets in your photos are gorgeous. 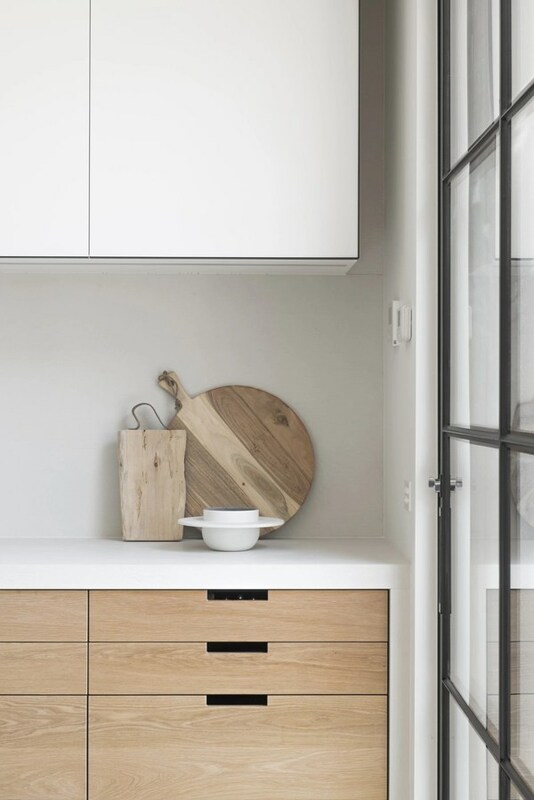 Wish my wood cabinets looked as pretty as the ones in the photographs. Sigh. Trying to figure out how to update and refresh the ones I have without having to paint them. I’m up for ideas and suggestions! (They’re currently a very traditional style). Traditional wood still works Tammie! 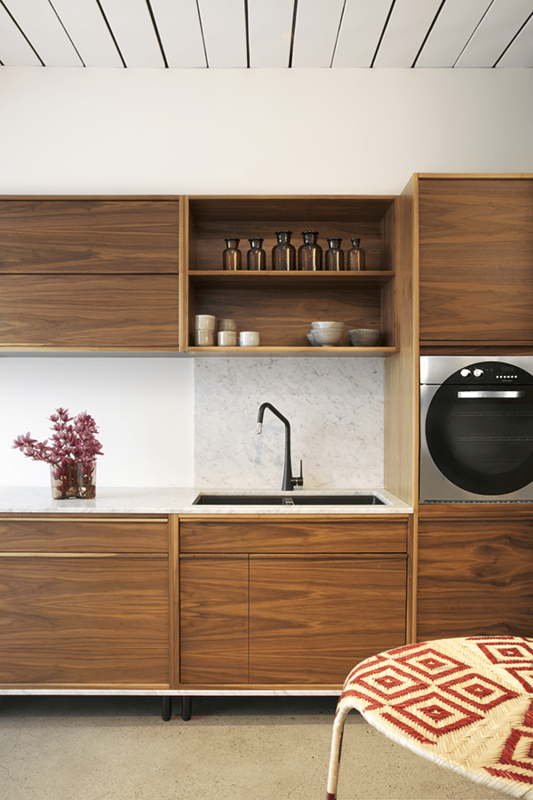 Sometimes it’s just a matter of refreshing the hardware, fixtures, or the backsplash, those are far more budget friendly ways to modernize a kitchen especially if your cabinets are in great condition! I think wood is making a huge comeback, and it’s SO beautiful! PS, I miss St. Helena. I’m really curious if you know where to get the cabinets in the third photograph down from the top. I LOVE them and am at the point to order cabinets for my new kitchen. Please tell me where to find them or who makes them. Thanks!! Yes, wood is back. I hate to clean cabinets. I have to wipe down my wood cabinets, but not scrub them too much. Would love to hear from someone who was able to find some interesting wood cabinets. The zebra wood looks great, but where to find? Has anyone bought custom or had base cabinets customized?